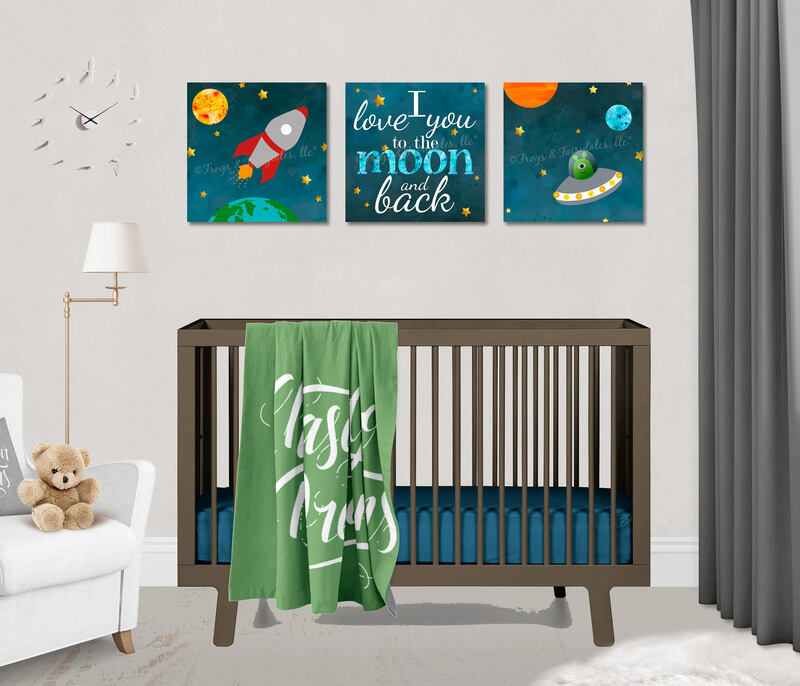 This Outer Space set of 3 canvas prints is perfect for any child who loves planets, stars, or wants to be an astronaut! The listing picture shows the set featuring a rocket ship with planets and gold stars, an "I love you to the moon and back" or "We love you to the moon and back" print with gold stars, and an alien print with planets and gold stars. Please use the drop down menu to select which wording you'd like for the middle print. Watermarks will not appear on your prints.